The solution is simple to change the Home Folder in Windows 10 MS-Explorer to This-PC (My-Computer)! 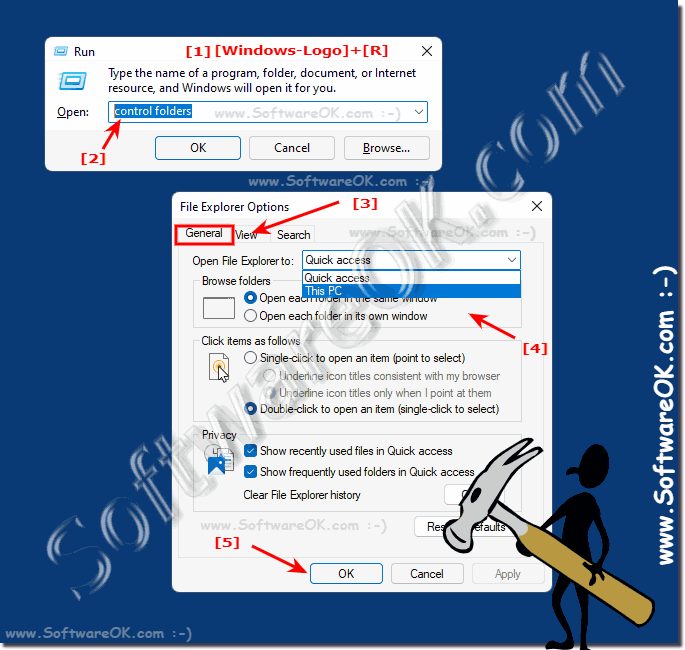 When you start the MS-Explorer, the folder Quick access will be open. You can change this via MS-Explorer Folder Options. On the Windows desktop PC, tablet, notebook and also on Ms Surface Pro. 1.) ... Changing the Star folder in File Explorer on Windows 10! 2.) ... What should I note when Home Folder in File Explorer! 3.) 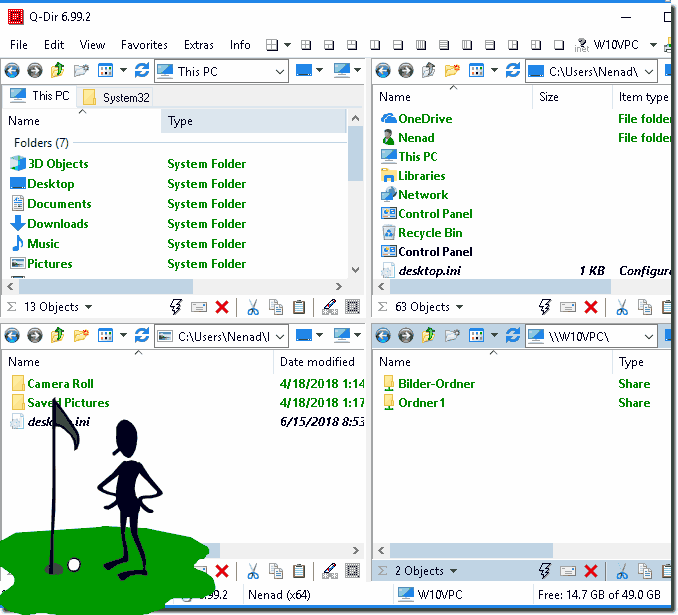 ... More than just a single home folder in the Quad Explorer! See also: ► Help Windows 10 has no fax and scan function? 1.) Changing the Star folder in File Explorer on Windows 10! Select the menu point View. In ms-explorer view settings open Folder Options and the Tab General. Hot tip: ... File-Manager Q-Dir! (Image-1) Change Home Folder in Windows 10 to This PC! 2.) What should I note when Home Folder in File Explorer! When you open the folder in Windows 10, the folders or directories under Windows-10 in the navigation pane of the Explorer are not automatically expanded, which can be very confusing if it bothers you, then change this folder option to that of the navigation pane makes it clearer! See: ►► automatically expand the folders in the Windows 10 File Explorer! If it annoys you ►►► Explorer Friend in DesktopOK? 3.) More than just a single home folder in the Quad Explorer! Four Home Folder: ►► ... test the the Quad Explorer! (Image-2) 4 Home Folder Q-Explorer! Windows-10 - FAQ-38: Change Home Folder in Windows 10 MS-Explorer (to My Computer, This PC)!